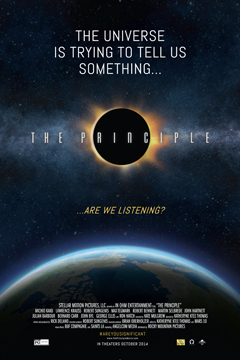 The Principle = a MUST SEE documentary! I recently watched the documentary, The Principle. All I can say is, WOW! While I may still have my questions and doubts concerning the shape and nature of our Earth (as demonstrated in my Testing The Globe website), this one video has answered many of my other questions that I’ve wondered about for quite some time. Namely, are we in a geocentric system or a heliocentric system? If what this film depicts is true, and we are in fact on a scientifically proven geocentric system, with a stationary Earth, then we basically have to throw out everything we think we know concerning our world and its place in the cosmos! And if that’s true, then, even in the 21st Century, we really find ourselves back to square one. We must start all over again from “the Beginning.” What if the Bible has been right all along? The Copernican Principle states that we are nothing special. We are on Carl Sagan’s “insignificant pale-blue dot” a “planet of a hum-drum star, lost in a galaxy tucked away in some forgotten corner of the Universe in which there are far more galaxies than people” and there is nothing special about us whatsoever. But if the Bible is right, then we are extremely significant. CLICK HERE to watch this film and be prepared to have your paradigm truly shaken up. The only way I would watch this is -to know my enemy–who roars about as a roaring lion. These guys are and always have been nauseating and ridiculous. After pretending that they think Scripture is just silliness they will come up with another ‘exciting’ theory of science with a creator of their own choosing and not even blush. I don’t believe that they should be considered professionals of anything let alone science. I never understood even believers saying well, the Bible isn’t a science book. The Bible is the ULTIMATE science Book. I think I’ve seen this documentary. It says there is, essentially, a huge radioactive cosmic cross that points to earth at its center, that we are the center of the universe. Now all they need to do is fly over Antarctica with several news agencies and film it! HA! 100% Geocentric beyond shadow of any doubt. Why is this information only available in one documentary that we must PAY to watch? If this is such a huge breakthrough why is it not out there for everyone? 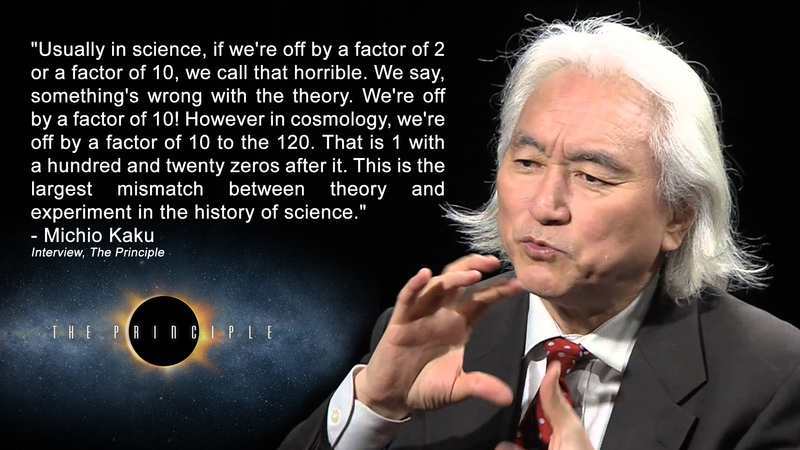 I love Michio Kaku and he’s the only reason I’m willing to think these new ideas might be credible. I think these new ideas are awesome but I don’t know whether I can believe it. Seems like there should be more information on it, instead of locked up in one documentary. Makes me think there’s only MONEY behind it. Unfortunately. Any links where I can watch this documentary for free please?? Kaku has publicly stated his concerns over matters including people denying the anthropogenic cause of global warming, nuclear armament, nuclear power and what he believes to be the general misuse of science.